The Budget and Finance unit's key responsibilities are oversight and management of the agency's operating and construction budgets; preparation of the agency's Legislative Appropriations Requests; monitoring and tracking the appropriations process during legislative session; and researching, analyzing and reporting on complex issues affecting the financial interests of the agency. This unit also develops cost recovery allocation models, monitors expenditures for budgetary control, prepares the monthly financial reporting packet for the Commissioners, and prepares various reports as required by state statutes. The Budget and Finance unit serves as a financial resource for agency operations. 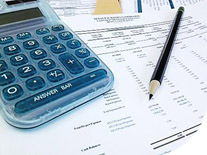 The Accounting unit performs the financial reporting, accounts payable, accounts receivable, payroll, and general accounting functions for the agency. This unit is responsible for cash receipts and disbursements auditing, chart of accounts maintenance and financial reporting in compliance with governmental accounting standards, relevant federal and state laws and regulations, and agency policies. Reports prepared by this unit include the agency's Annual Financial Report, the Annual Report of Nonfinancial Data, IRS reports, and various other external reports. The Accounting unit serves as a financial resource for agency operations and is the primary contact for vendors and employees needing expenditure assistance. The Procurement unit's responsibilities are to protect the interests of the State by ensuring legal compliance in TFC's purchasing processes; providing equal access to all vendors, including Historically Underutilized Businesses (HUBs); participating through competitive acquisition of goods and services; timely procuring goods and services to meet the daily business needs of the agency; and providing customer service to the program areas.